I'm working this morning and the afternoon will probably include some house cleaning and swimming Attiucs. What are you up to this weekend? Those are lovely flowers that convey the sentiment perfectly, peaceful yet strong. Beautiful! I love the use of paper rather than ink for the colours! So glad you joined us at Muse this week, Jen! 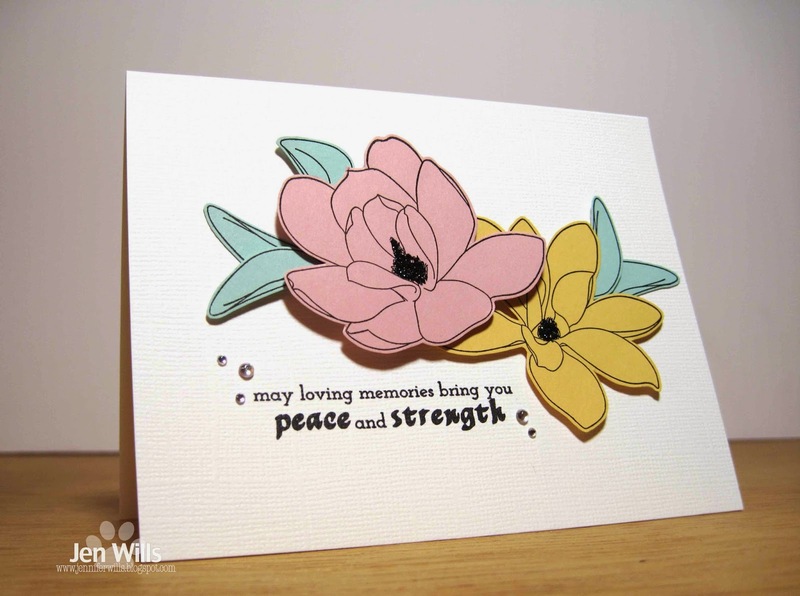 This is beautiful, Jen -- the colours are perfect for the flowers and the sentiment. And once again, you are a genius at bling placement. LOVE the soft colors Jen!! Lovely composition!!! 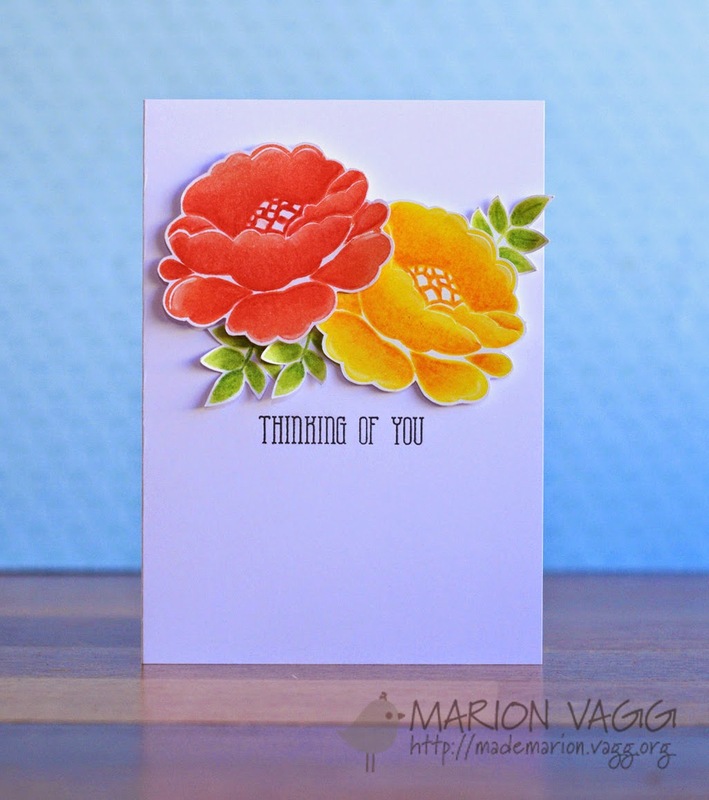 Sweet take on Marions card, and especially perfect for a sympathy design. I would love to do the Copic class too but there is not enough time... can't wait to see your creations! 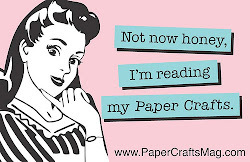 Love your paper-pieced card Jen - and such a thoughtful sentiment. 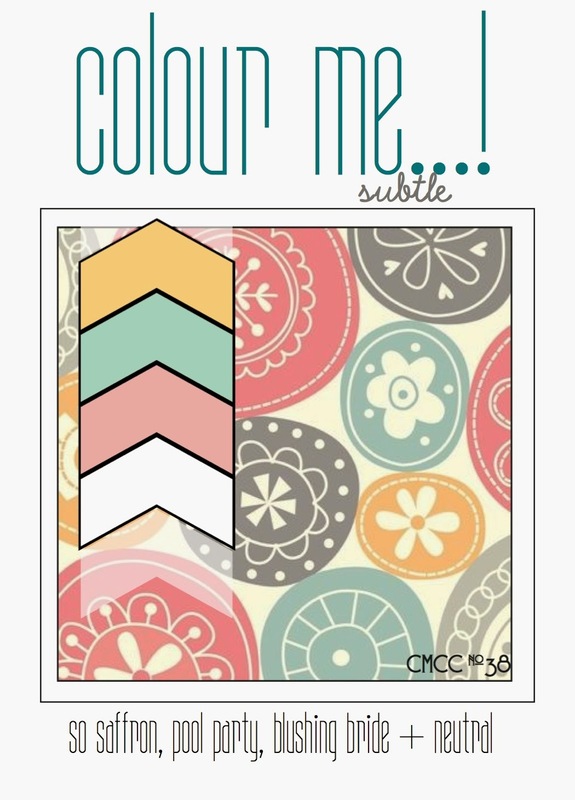 Great use of this week's colours; thanks for joining us over at Colour Me...! this week. Great take on both challenges! Those flowers are amazing. So glad you could join us at Colour Me....! this week and hope to see you again soon. What a gorgeous sympathy card. I love that sentiment, too.